Taking pictures with your phone or tablet can be pretty weak sauce at times. You’ll take a shot thinking you nailed it, later finding out it’s dull, poorly lighted, or a number of other things that could go wrong. With Perfectly Clear for Android, no more worries. The same powerful auto correction software that has been industry leading on PC’s for years is now available for your mobile device. The app has a very crisp and easy to navigate interface. Simply take or choose a picture from your gallery and the app basically does the work for you. 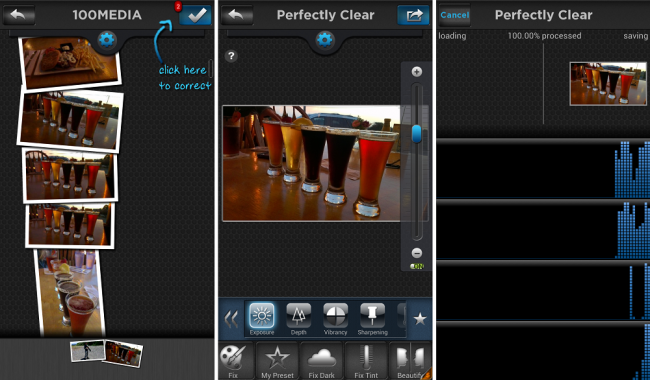 You can also go in and fine tweak each individual setting such as the lighting, tint, color saturation, etc. The app is listed at an introductory price of just $0.99, which is a steal compared to some other high grade photo editing apps out there. Give it a try and let us know what you think.